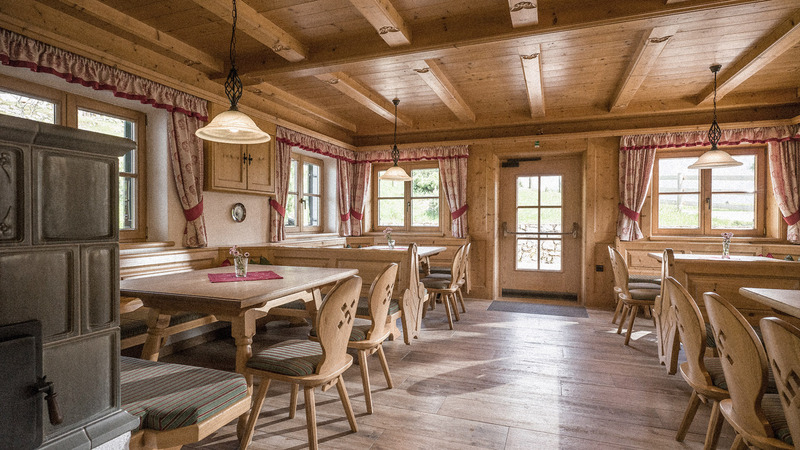 Our dining rooms, designed in the typical Tirolean style, spread coziness and a home-like atmosphere. Around our mountain inn, tables and benches invite you to stay for a while and enjoy the beautiful weather. Spend your afternoons at the Alm with our “Stubenmusi”. Our double and shared rooms are cozy and equipped with furniture in the rustic Tirolean style. Partly with shared shower, located on the floor, or own shower in the room.